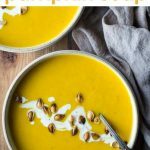 Pressure Cooker Pumpkin Soup - Paleo, Whole30, Healthy! You’ll love my pressure cooker pumpkin soup, it’s Paleo, Whole30 and has the added benefit of Turmeric, it’s so healthy and delicious! 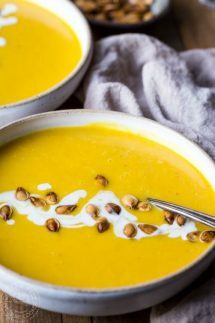 It’s super easy to make this pressure cooker pumpkin soup with a whole pumpkin, using my Instant pot for it makes the cooking of it super quick an easy and the skin just falls off the pumpkin! Here are just a few of the ingredients and kitchen tools you’ll need to make this pumpkin soup, I have an Instant Pot pressure cooker and I love it! 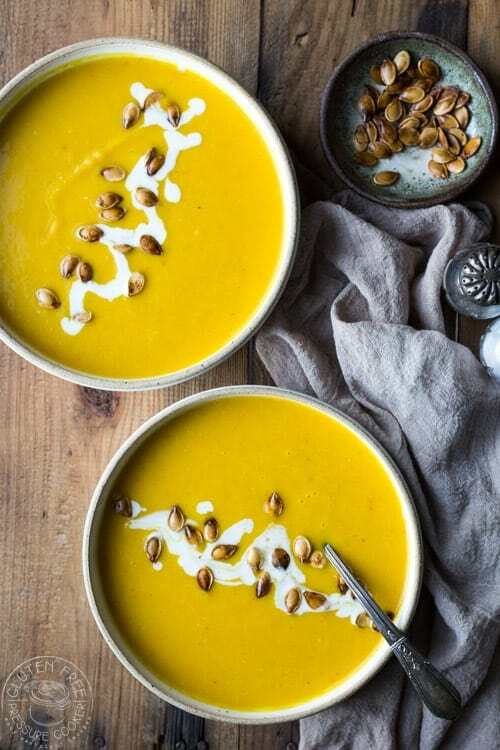 Here are a couple simple tips for making my pressure cooker pumpkin soup recipe, I think you’ll love it and it’s an absolute breeze to make! Full Printable recipe is at the end of the post. 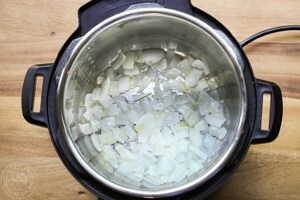 Step 2 – Saute the onions in a little olive oil in your Instant Pot. Step 3 -Add the garlic, ginger, turmeric, cumin, salt and pepper to the onions and stir well. 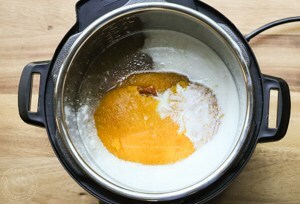 Step 4 – Add the already cooked pumpkin, chicken broth, and coconut milk and add the lid, cook for 5 minutes under pressure, then NPR for 10 minutes. Using an immersion hand blender to puree the pressure cooker pumpkin soup, serve with a drizzle of coconut milk and toasted pumpkin seeds. 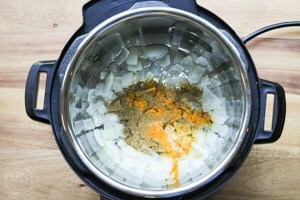 MORE PRESSURE COOKER RECIPES YOU’ll LOVE! 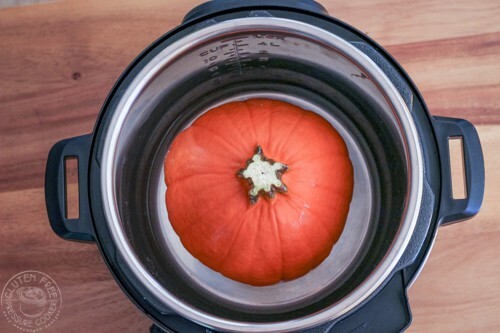 Learn How to make Pressure Cooker Pumpkin with a whole pumpkin in your Instant Pot in just 15 minutes! This was a really nice Instapot Soup recipe, my daughter is dairy free so this recipe worked really well for her and it tasted great.